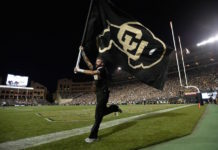 The Colorado Buffaloes and Nebraska Cornhuskers renewed a long-time rivalry in Lincoln, Nebraska Saturday that came down to the final minute as Colorado quarterback Steven Montez hooked up with Laviska Shenault on a 40-yard go-ahead touchdown as the Buffaloes beat the Cornhuskers in come from behind fashion. Montez’s game-winning throw was dropped perfectly into the arms of Shenault down the right-sideline as Shenault secured the football, pushed towards the end zone and scored pushing the Buffs ahead for good. Colorado and Nebraska would play an exciting fourth quarter in a game that saw Colorado jump out to a strong start after a Nebraska fumbled on the very first drive of the game. Steven Montez would take the football and hit Jay McIntyre on a three yard touchdown to take a 7-0 lead. Montez was brilliant early going 6-6 on the drive. Montez finishing the game 33/50 for 352 yards and three touchdowns. After establishing the early lead just minutes into the game, Nebraska went to counter — only to encounter — deja vu as Nebraska quarterback Adrian Martinez fumbled, giving the Buffaloes great field position for a drive that would end in a Laviska Shenault touchdown from three yards out, pushing the Buffs lead to 14. Shenault would finish with 177 yards receiving on 10 receptions and the game-winning touchdown reception. However, the Huskers were not about to let the game get out of hand on their home turf of Memorial Stadium. Nebraska would score 21 unanswered points before Colorado’s James Stefanou nailed a 40-yard field goal just seconds before halftime to snap the scoring drought for the Buffs, sending the old rivalry between former Big-8 schools to half with Nebraska leading 21-17. Stefanou would again come out and kick a 35-yard field goal through the uprights to get the scoring started in the second half to pull the Buffs, but fireworks from Martinez and the Huskers again, hitting JD Spielman on a long touchdown would push Nebraska ahead in a back-and-forth second half. Montez and the Buffs would counter late with McIntyre’s second touchdown of the game in the third quarter to set up a crazy fourth quarter. The Buffaloes and Huskers would go back and forth, swaying possessions as both teams went for it on fourth down near mid-field in back-to-back possessions, only to lose possession on downs. Stefanou would miss a crucial 37-yard field goal. Buffs linebacker Nate Landman would have a stellar game overall, flying all over the field making tackles and in the fourth quarter, baited Huskers QB Martinez on a interception late in the fourth setting up a potential game-tying field goal. Buffs kicker Stefanou would line up for a 43 yard field and miss left, giving the Huskers the ball back. It was the second, second-half miss for Stefanou, who would’ve given the Buffaloes the lead on both occasions. After another failed scoring drive by Nebraska, which included Nebraska quarterback Andrew Bunch taking over for Martinez who was injured. 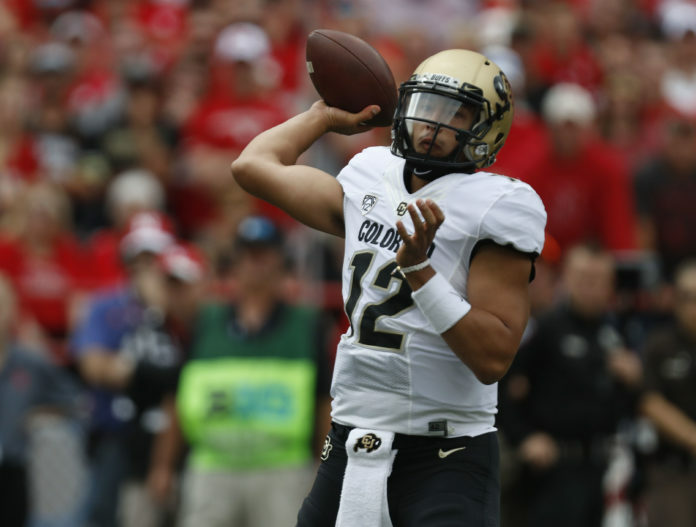 Montez and the Buffs offense would take over needing a field goal to win, instead, the Buffaloes iced a win over Nebraska as Montez hooks up with Shenault for the game winner from 40 yards out. 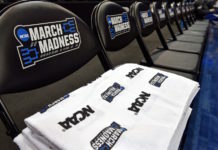 Bunch and the Cornhuskers would make a last-minute attempt to win the game, but the Buffalo defense held their ground, keeping Nebraska from scoring and leaving Lincoln with a win. Colorado moved to 2-0 after the win over Nebraska and new head coach Scott Frost. Colorado will host the New Hampshire Wildcats next Saturday looking to improve to 3-0 on the season.